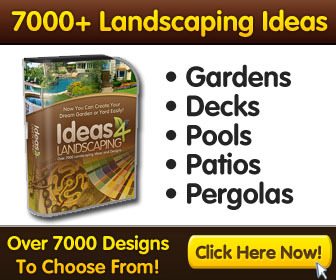 If you are looking to be wowed by great backyard landscaping ideas, then look no further. This piece covers everything you may need to know to achieve a great backyard. It can seem like a big project but for you to come up with that particular design doesn’t have to be all that overwhelming. If you are looking for the best ways to have that awesome backyard makeover; whether it is simple or on a budget kind of thing or a complete overhaul for your backyard design then here are a few ideas you can look into that will actually wow you. Pavers can really do wonders for your backyard. Creating divisions in your backyard with pavers creates an impression of a stable and handsome garden walkway. You can simply turn a backyard path into a series of some mini patios with some flagstones that have actually been separated with ribbons of thick turf. Another advantage is that they are large enough to achieve outdoor seating. Imagine a water fountain at your backyard. This is one factor for great backyard landscaping ideas. If you happen to have a drainage problem in your backyard then you can try converting it into a water fountain, or water fall. You can turn the water drainage problem into a landscaping focal point and from there you need not worry that your backyard will wash away. You can change how the bottom part of your deck looks like by adding a few planting beds that will camouflage the leggy supports. There are so many ornamental plants you can try out. You can also try out sedum and black-eyed Susan. Start by planting around the deck then move to planting around the stair case. They will do so much to provide the deck with plenty of screening. Ever heard the expression; first impression counts? Yes it does count. That is why if you are looking to have a backyard that catches your eye; you need to have an awesome backyard entrance. If you have a muddy path the view is totally ruined. You can go for gorgeous stone patios with well decorated plants, to welcome your friends and family to the backyard view. Setting up a small sitting area amid the beds tucked with flower border is just the thing. Most people always wish they could have a backyard spot to get away from the house. You can sit there and read a book, a magazine, relax and think while breathing in the fresh air. It is the best place for you any day. There are so many great backyard landscaping ideas that will leave you gratified. All you need is to get creative so as to design the best or get a professional who can actually do it for you. If you are looking for a DIY/Woodworking product then click here.